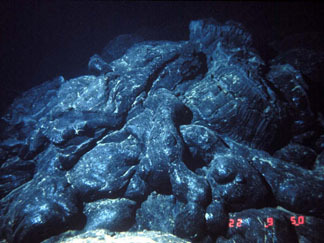 Geological processes at the mid-ocean ridges are responsible for the bulk of the Earth's heat loss and volcanic activity. The compositions of materials erupted at these locations, dominantly mid-ocean ridge basalts (MORB's), have profound implications for the inner workings of the Earth's mantle, the construction of oceanic crust, and global plate tectonics. In this exercise, students replicate a portion of a classic paper on MORB geochemistry [Klein and Langmuir, 1987] , but using a much larger global geochemical dataset downloaded from the PETDB database. Through a series of activities and questions, students are encouraged to think about the petrologic and geodynamic processes controlling the composition of Earth's most abundant volcanic rocks. This exercise is one of several examples featured in the Geoscience Education in the New Cyberinfrastructure module at SERC. Each example is designed to give instructors and students direct practice for using cyberinformatic databases and tools to analyze Earth science data. Students should begin at the Introduction.